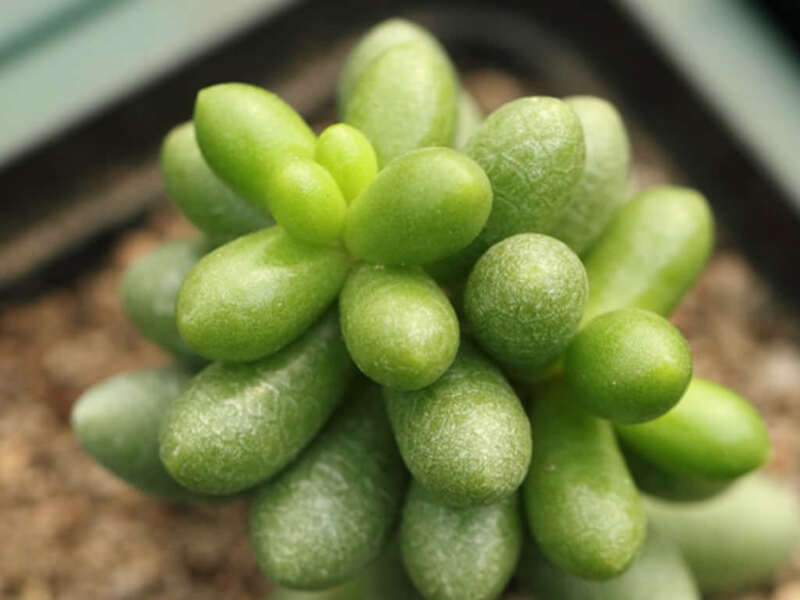 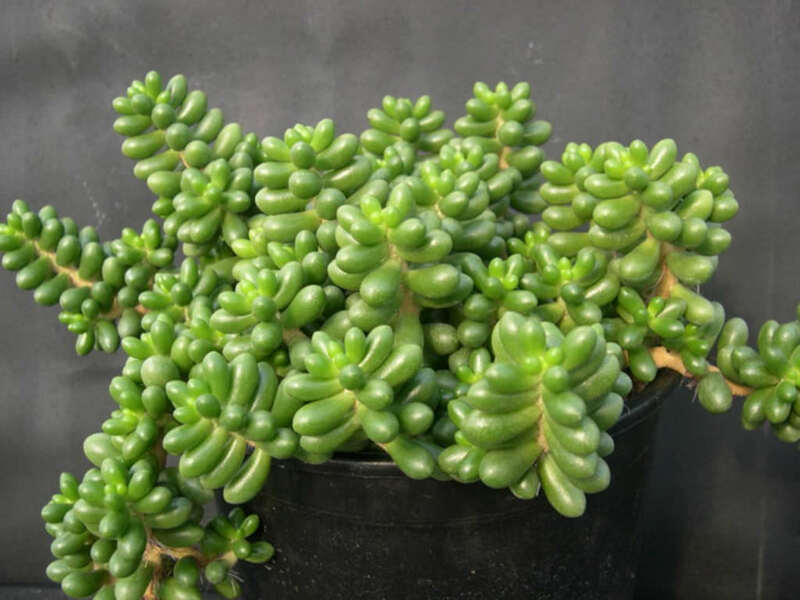 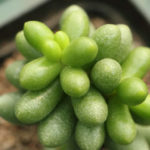 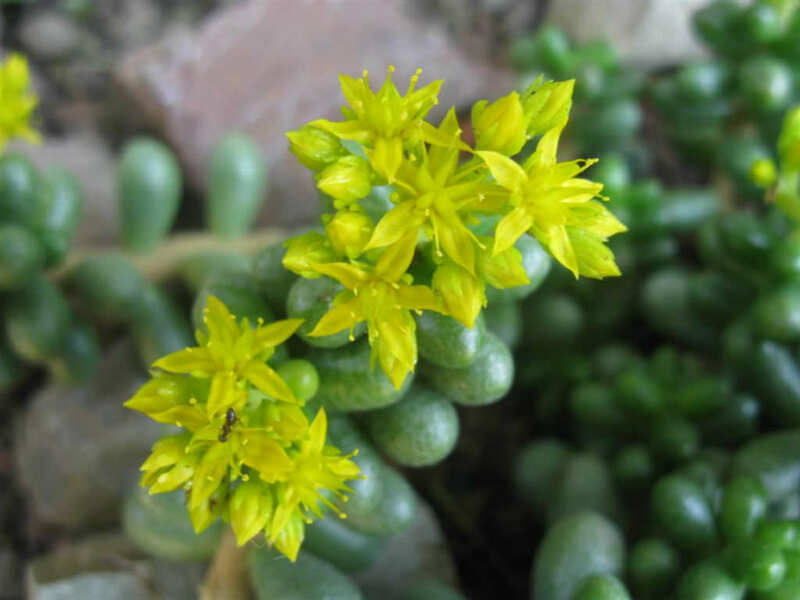 Sedum hernandezii is a succulent plant related to Sedum furfuraceum. Forms clusters of stems up to 4 inches (10 cm) in height, with very chubby, emerald green leaves that have the same “cracked” epidermis as S. furfuraceum. 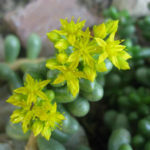 Large, star-shaped yellow flowers appear in winter and spring. 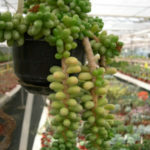 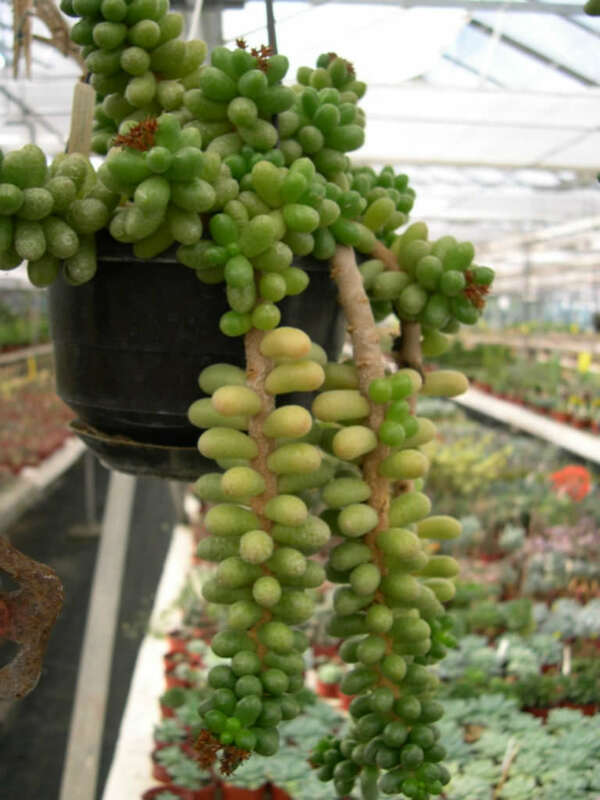 It is one of the “jellybean” Sedums so named for their exceedingly plump and colorful jellybean shaped leaves.